The condition of a person’s smile can affect them in ways they might not even realize, and there are options available to improve your smile. Let's face it, dental care can be expensive, especially for those without dental insurance. Mini dental implants are implants that are narrower than conventional implants. They can be used in a variety of circumstances including improving the fit of an existing denture or a new denture. One of the questions we are frequently asked is if we see children. We sure do! We will typically begin seeing children around the age of 4. Thank you for taking the time out of your busy schedule to visit our Waco Dentist website! Dr. Zachary Schwab, Dr. Steven Little, and the experienced team at Waco Family Dentistry pride themselves in providing you an advanced dentist experience in a warm and inviting environment. Our goal is to treat our patients’ needs comprehensively. Here you will find solutions to nearly any dental problem which may arise. Our team is dedicated to finding out about your needs, helping you navigate issues you might not be aware of, and do so in an atmosphere built on respect and trust. When you walk out of our dentist office happy and healthy, and you’re excited enough to tell your family and friends about us, that’s what we consider success! We will typically begin seeing children around the age of 4. We handle children of a younger age with special care to ensure a positive dental experience. We do not force anything on a child, especially if it’s their first time ever seeing a Dentist. At Waco Family Dentistry our team has been placing mini dental implants for over 10 years! 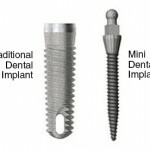 Advances in implant Dentistry have led to the utilization of narrow diameter (aka mini) dental implants. These implants are exactly as described – they are narrower than traditional implants and are used in different situations. With modern techniques and options we can help you achieve the beautiful smile you’ve always wanted. At Waco Family Dentistry, we devise a plan that’s best for you, not what’s best for us. We take time to plan exactly how you want your smile to look, we discuss what limitations there might be and we give you options on how best to achieve your goals. 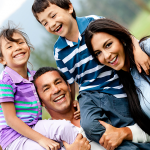 At Waco Family Dentistry, our goal is to be family friendly. This includes making dental care affordable for families. We are preferred providers for many dental insurance plans, and offer a Total Care Plan as an affordable alternative to Dental Insurance. Approximately 40 million Americans suffer from Obstructive Sleep Apnea and of those only 10 percent have been diagnosed. Of those diagnosed, only 25 percent can tolerate their current treatment. 70 percent of snorers have some level of sleep apnea. Waco Family Dentistry offers multiple options for diagnosis and treatment of snoring and obstructive sleep apnea(OSA). If you want dental care from professional, experienced dentists in Waco, TX, our existing patients will tell you to come to us. Why? We offer dental services that care for your whole family at prices you can afford, with generous financing help available. Our goal is that all families in Waco, TX can have quality services so that their teeth remain well-cared for and healthy. Our dental services include not only cleaning your teeth and checking for any needed dental care, but also specialized services that are not offered at all Waco, TX dentist offices, including mini-dental implants, cosmetic dentistry, and treatments to help with sleep disorders. Better yet, we know how to make your visit to the dentist an enjoyable experience. We know that like many people in Waco, TX, you might have concerns about going to the dentist. You might even feel anxious and avoid care. However, going to the dentist and keeping your teeth healthy is important for your overall health throughout your life and getting children used to being treated by a dentist is an important part of making sure they not only are healthy enough to learn and grow now, but develop good habits for the future. That is why we do all we can to make coming to see us a pleasant experience for both adults and children in Waco, TX. To help make your visit for treatment relaxing, we offer sedation dental services. If you have been investigating sedation dentists in the Waco, TX area, you will want to know that we offer two methods of safe and uncomplicated sedation: inhalation and oral sedation. Inhalation sedation with nitrous oxide (laughing gas) is easy, quick, and completely reversible within just 5 to 10 minutes after you are done. With oral sedation, you take a pill ahead of time that keeps you awake but sleepy enough that you can completely relax during your procedure and may not even remember it. Both of these methods aim at giving you just the amount of relaxation you require for the dental care you need. Do you have children that need to see a dentist here in Waco, TX? We are a family dentist practice and love the chance to make seeing the dentist a calm and positive experience for you and your children. 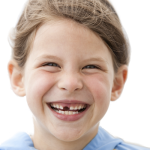 Typically, we suggest you bring your child to see dentists in Waco, TX at about the age of 4 when their baby teeth are all grown in but before they have started losing teeth. The first visit to dentists is just to get children used to having someone look at their teeth in a dental exam. Scheduling a visit to see us is easy! You can call our office in Waco, TX or even request an appointment online 24/7. We look forward to meeting with you to start on a treatment plan that will keep your teeth healthy and make you feel happy and confident in your smile!